The Puerto Princesa Underground River is reputed to be the longest navigable underground river in the World. It is one of the few such rivers which the public can easily experience and appreciate. It is the official entry of the Philippines and is 1 of the 28 finalists to the Search for the New 7 Wonders of Nature. Banaue rice terraces has been described as the eighth wonder of the world. Carved out of the hillside by Ifugao tribes people 2000 to 3000 years ago without the aid of machinery to provide level steps where the natives plant rice. And they are still in use today. Banaue rice terraces stretch like stepping stones to the sky - some reaching an altitude of 1500m (4920ft). It is considered as one of mankind's greatest engineering feat. If the terraces were laid end to end, they would stretch half way around the world. 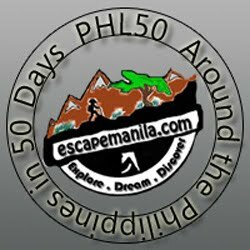 One of the major appeal of Banaue rice terraces to the local and international tourist are the many hiking trails in the area. There are many young locals, mostly college students who serve as guides. But with or without a guide, you will find the friendliness and warmth of the Ifugao people endearing. 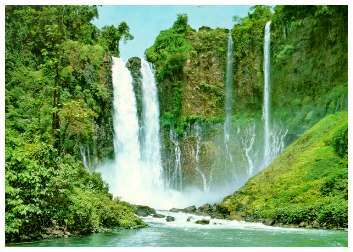 Iligan’s greatest heritage, the landmark of Iligan City. The most resplendent among the 20 plus waterfalls. Also known as the “Mother of Industry” and “Fountainhead of Progress.” It is 320 feet high, spews 130 cubic meters per second of water and the veritable source of industrial power in the city. Located at the borders of Barangay Maria Cristina, Ditucalan and Buru-un 9.3 kilometers away from the city proper. Since its water is being harnessed for electric power, full grandeur viewing of the waterfalls is every Saturdays and Sundays at 11:00 in the morning. A mountain, located south of Manila (in Albay province) has a very unique and stunning beauty. Mount Mayon is considered as the most perfect and majestic mountain in the world. Perfectly symmetrical cone shape that makes the attraction for the tourists who want to visit.